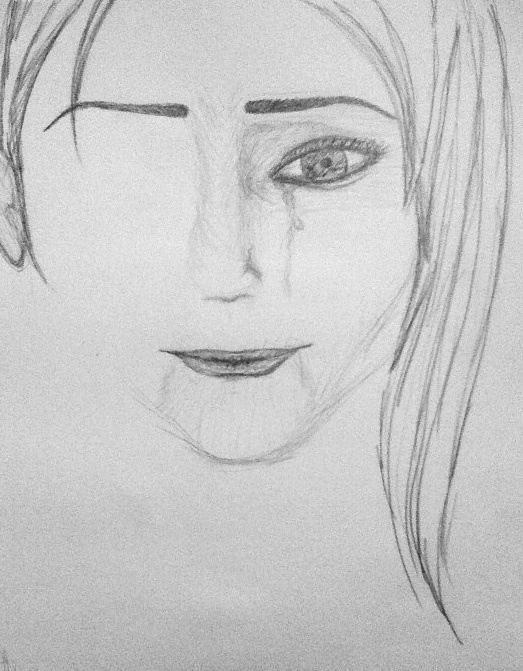 Yet another new sketch I am working on. I am unsure how to finish it and whether I will add any color to it. I started with the eye and face area. My hair designs aren’t the best but hopefully this one comes out nicely. I think it has potential, I just have to actually COMPLETE it! What could she be gazing at? This entry was posted in Sketches on December 30, 2008 by Tina. I love this song! You can listen to it on YouTube. I first heard One More Day by VAST on Smallville’s last season finale. I believe this is also the first song I have heard from VAST. Pencil sketch, 10/14/2008. Inspired by VAST's "One More Day". It is just a simple sketch right now. The song is sung with so much emotion and sadness. I imagined what someone who listened to this song might feel. Actually, more like what it makes me feel. In a weird way it is also very soothing and comforting. It is telling me that even though I may not be o.k. right this moment that in the end everything will work out. Listen to the song. I recommend putting on headphones or blasting your speakers to filter out other sounds. What does it make you feel? Does it bring back any memories? Does it inspire you to do anything, and if so, what? Note: I drew this in the dark! The only light I worked under was the glow from my computer screen. This entry was posted in Sketches on October 14, 2008 by Tina.